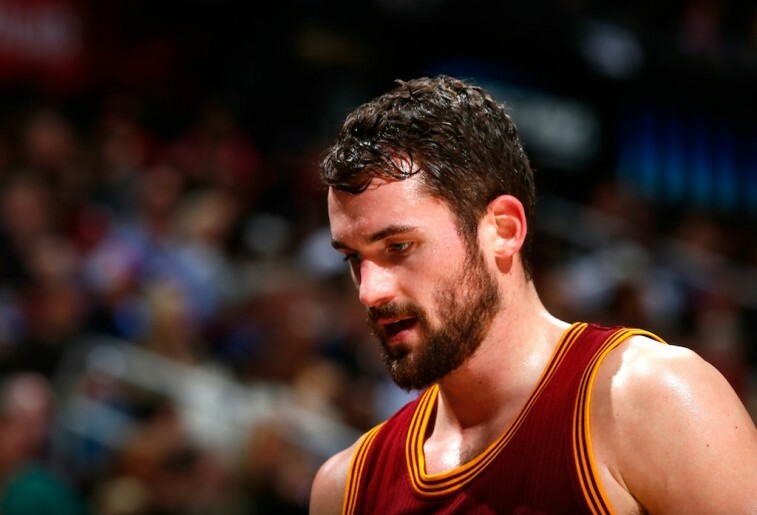 Has Kevin Love Played His Final Game for the Cleveland Cavaliers? The Cleveland Cavaliers are a good basketball team — that much is clear. But now we’re about to see just how good they really are. 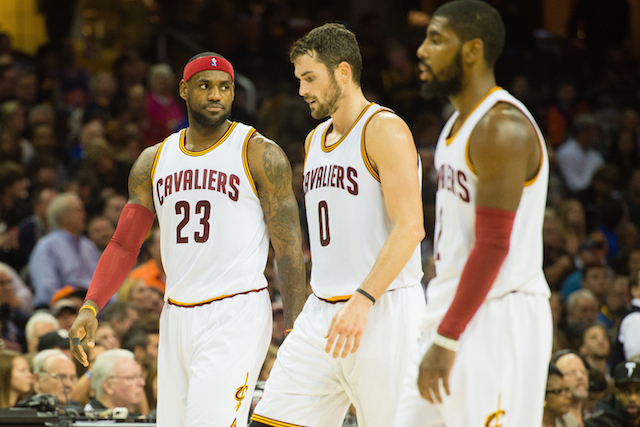 Can they survive now that a “big three” is set to be reduced to a “dynamic duo”? You knew things were bad when Kevin Love left Game 4 against the Boston Celtics with a dislocated shoulder. You could see it in his face. Now, the true extent of that injury has been revealed, and things are far worse than before. 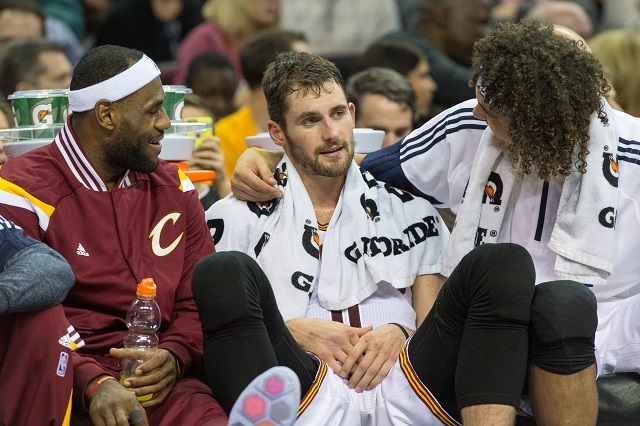 According to Cavaliers General Manager David Griffin, it is “highly unlikely” that Love will return during the 2015 NBA Playoffs. The damage to his shoulder is extensive. This is not a situation where we are expecting that he will be available for any of (the rest of the postseason), and we are in the process of gathering information and seeing what the exact right next steps are, and every option is on the table. Surgery is an option as well, if necessary. We’re going to continue to look at that, but I don’t want there to be any expectation on Kevin that he’ll be back. The King couldn’t be more right. But you have to wonder if this is a preview of things to come in the long run. It’s no secret that Love has had a difficult time adjusting to his new role in Cleveland. It can’t be easy on the psyche for a guy who’s so often been looked at as the go-to scorer to now find himself playing the third wheel, so to speak. But that’s the role that Love has found himself in this entire season. Which, of course, has led to the constant questioning of whether the new power forward could ultimately fit in with the rest of his teammates. As if playing professional basketball wasn’t hard enough, now there’s all this added stress. If that wasn’t enough to make Love want to bolt Cleveland, perhaps the dip in his production might. Last season, as the focal point of the Minnesota Timberwolves, he was averaging 26.1 points and 12.5 rebounds per game. In the 2014-2015 season, Love has only put up 16.4 and 9.7 rebounds a clip. This are solid numbers, but not remotely close to what he’d been doing prior. And yet, despite all that, Love is in a position he has yet to be in since he joined the NBA — he’s winning. Isn’t success supposed to solve everything? We guess that depends on the definition of success. Is it about personal accomplishment or that of the team’s? This is what Love must decide, unless you believe that he’s made up his mind all along. All season long, there’s been chatter suggesting Love will opt out of his contract and join the Lakers. Even with the power forward not willing to discuss this matter publicly, Yahoo Sports’ Adrian Wojnarowski believes the thought has crossed his mind. This wouldn’t be too surprising, given the circumstances. Still, there’s also the possibility the Cavaliers may truly learn how valuable Love is to the team’s success. And that could make it more enticing for him to stay. The common belief is that Love has never felt entirely comfortable on this team. Perhaps this latest injury will give him the time to reflect on whether this is where he wants to spend the next phase of his career. Or maybe — just maybe — he’ll get to see how truly valued he is by this Cleveland organization. Should this team falter in the playoffs, a lot of folks will say it was because Love wasn’t in the lineup. If that’s the case, it will be clear just how important Love really was to the team. Only Love himself knows his true intentions for after the season. But one thing we do know is that Love will more than likely not be in a Cleveland uniform for the rest of the playoffs. Whether he intends to sport it again, we guess we’ll just have to wait and see.